First-generation students already face outsized struggles in college. They shouldn’t also have to pay more for course materials than students with parents who attended college. Yet, the average first-generation student pays 10 percent more for required texts each year than students from families with previous university experience, according to the Chronicle of Higher Education. About half of all college students are considered first generation, according to the U.S. Department of Education — and, for them, the connection between higher education and the American Dream is no myth. First-generation students who earn bachelor’s degrees are just as likely to have solid employment four years after graduating as those whose parents had some college, according to a report from the U.S. Department of Education, “First-Generation Students: Access, Persistence and Postbachelor’s Outcomes.” Even better, they are also just as likely to earn comparable salaries. But they must graduate before those dreams of attaining high-paying jobs are realized, and the Department of Education data suggests the college journey is unfairly strenuous for most first-generation students. Over 30% of first-generation students drop out after three years of school, compared to 14% of their peers with parents who attended college. Meanwhile, far fewer first-generation students arrive with credits from A.P. courses that help lower tuition costs while boosting academic preparedness. Many factors influence a student’s choice to stay in school, but affordability is high on the list. Between 1970 and 2015 the cost of textbooks rose over 1000 percent, according to Bureau of Labor Statistics. Prices have dropped in the last two years, primarily because of the availability of new options like digital that lower costs, according to the National Association of College Stores. However, students who aren’t offered or informed about these possibilities will end up paying more for their books. 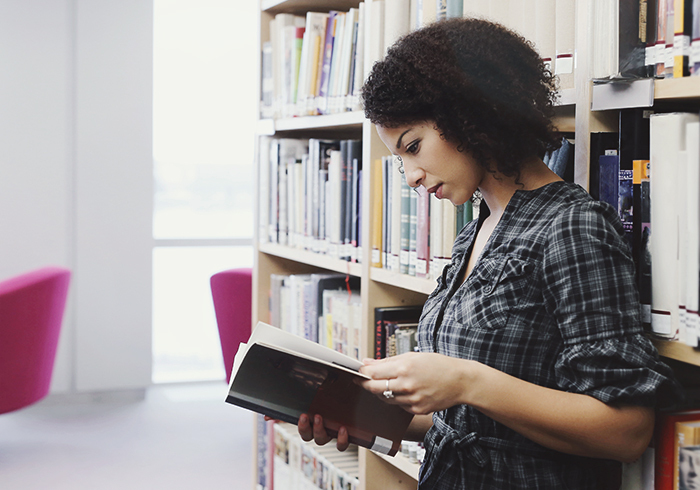 What many in higher education call the hidden curriculum may explain why first-generation students end up paying more for books. Students whose parents did not attend college lack role models who can coach them through the complexities of textbook-purchasing. Lack of support in this area can increase the total cost of education for these students in general. As Marcia Chatelain, who teaches a Georgetown University course on the hidden curriculum for first-generation students, has said, interventions that help these students do not necessarily cost universities a lot of money. Rather, they require understanding. “Sometimes innovation requires no power cords or wireless network upgrades; rather, it requires the hard task of acknowledging how inequality has shaped and continues to shape our students’ lives, and doing something about it,” she wrote in the Chronicle of Higher Education. Inequality shapes student outcomes in a variety of ways. When students cannot afford their textbooks, it has a harmful impact on achievement. 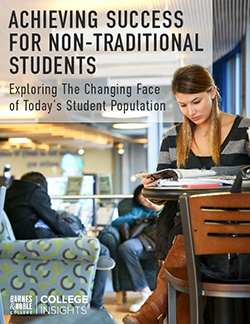 More than 80 percent of faculty said that students with course materials achieve higher grades, according to the Nielsen report “Faculty Attitudes Towards Content in Higher Education.” Colleges that provide guidance with course material purchases for all students — and increase access to affordable options — give first-generation students a better chance of succeeding. New resources and programs that lower course material costs are helping many financially-stretched students acquire the books they need. Administrative initiatives that focus on reducing course material costs and increasing convenience for all students have an added benefit for first-generation students: They untangle the complexity of making course material purchases. A common observation in academia is that many first-generation students don’t merely want to graduate. They want to excel. Chances are high they will not forgo materials they need for academic success — if buying them doesn’t make it impossible to pay the rent, buy groceries or pay tuition. Colleges and universities that provide students with streamlined access to low-cost materials will help these students stay in school and fulfill their dreams of outstanding achievement.